Dr. Loren Rieth is associate professor and head of Microfabrication at the Center for Bioelectronic Medicine. He is also an adjunct associate professor in the Department of Electrical and Computer Engineering at University of Utah. His work focuses on research, development, design, fabrication, and testing of neural interface systems and technologies. This includes optical, electrical, and ultrasonic interfaces, and understanding their underlying mechanisms to improve their safety and efficacy treating conditions and disease. Examples include electrodes for vagus nerve modulation to treat inflammatory conditions, electrode arrays for bionic arms to assist amputees, and cortical electrodes to help patients with spinal cord injuries. This work has been supported by grants and contracts from DARPA, NIH, DOE, NSF, and Industry, and has led to 86 publications. Prior to joining the Feinstein Institutes, Dr. Rieth was a research associate professor in Electrical and Computer Engineering at the University of Utah, where he his research focused on the Utah Electrode Array (UEA), and variations on this device architecture, as well as semiconductorbased sensors, microfabrication, materials and surface analysis, photovoltaic devices (solar cells), and epitaxial growth of III-V semiconductors for optoelectronic applications. Dr. Rieth’s postdoctoral training was at the University of Utah under Prof. Gerald Stringfellow regarding epitaxial growth of III-V semiconductors for LED and solar cell applications. He received his PhD from the University of Florida in Materials Science and Engineer, mentored by Professor Paul Holloway, studying transparent conducting oxides for use in thin film solar cells. He performed undergraduate studies at Johns-Hopkins University in Materials Science, focused on electronic materials. 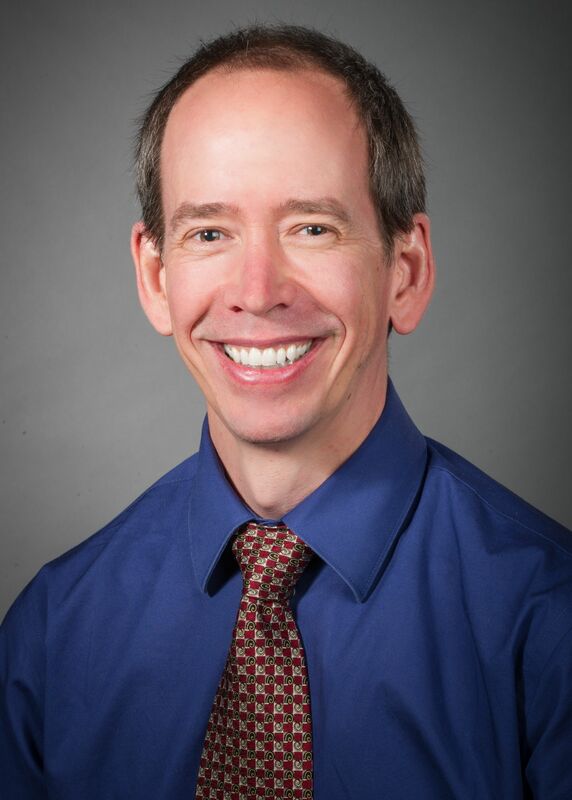 Dr. Rieth’s primary research focuses on highly effective bi-directional neural interfaces to the central, peripheral, and autonomic nervous systems. This research is from basic science through device translation to develop neural interface technologies as both tools for basic research and as marketed neuroprosthetic or neuromodulatory devices. Targets include autonomic nerve modulation, sensory and motor prostheses, pain, and others. At the Feinstein Institutes, Dr. Rieth’s work will include 1) electrical characteristics of electrode/tissue interface; 2) device fabrication (MEMS) research; 3) packaging; 4) materials for electrodes, optrodes, and encapsulation; 5) interface stability (biotic and abiotic); and 6) fundamental aspects of tissue activation with microelectrodes. My research at the University of Utah, prior to joining the Feinstein Institutes, centered on the Utah Electrode Array (UEA), and enhancing its capabilities through improving its performance and lifetime, extending its capabilities through integrated electronics, and enabling new methods to interface with the nervous system such as optical variants for optogenetics research. Interfaces for the autonomic nervous system (ANS) is a core interest for Dr. Rieth’s research. The number of patients with conditions that can be treated by such therapies is large, and several are difficult to treat with drugs due to side-effects or lack of efficacy, making this a highly fulfilling area of research. The applications/indications-of-use for these interfaces include inflammation (e.g. rheumatoid arthritis), cardiac function/rhythm, reactive airways (e.g. asthma), obesity/metabolism, homeostatis, etc. The complexity of the ANS has made research and therapies a tremendous challenge. Dr. Rieth is working with the CBEM team to develop novel neural interface systems and technologies. Additionally, he is actively reaching out to collaborators to develop a team with the needed physiological, surgical, and hardware/systems components. Dr. Rieth’s research for chronic neural electrophysiology is focused on developing electrodes and architectures capable of delivering and controlling a lifetime of safe, stable, and efficacious recording and stimulation of neural signals. Work on electrode materials focuses foremost on improving the stability and lifetime of electrodes, while also increasing the charge injection capacity, and decreasing the impedance of the electrodes. He utilizes state-of-the-art thin film technologies and materials analysis techniques to understand the fundamentals of the electrode tissue interface and the degradation modes at this interface to engineer improvements. His research is also focused on improving the stability of neural interfaces at the systems level. This includes coupling of the electrodes to the tissue through engineering the architecture and mechanical aspects of devices. Examples are work on integration of electronics with devices, development of new hermetic and non-hermetic packaging strategies, and investigation of improved leads and connector systems to address challenges associated with high-density microelectrode arrays. Increasingly complex implanted electrodes and electronics also require development of next generation encapsulation schemes. Dr. Rieth’s work focuses on non-hermetic and hermetic encapsulation of high density electrical and optical interfaces to the central, peripheral, and autonomic nervous system. Non-hermetic encapsulation approaches focus on combinations of polyimide, silicone, parylene-c, and atomic layer deposited (ALD) materials (e.g. Al2O3) to improve the lifetime of passive electrode arrays, and active electrode systems with integrated electronics. He uses the latest thin film technologies, materials analysis techniques, and has pioneered novel failure analysis methods to explore the fundamental degradation modes for these devices. This work is used to drive engineering improvements to the encapsulation methods to achieve improved functional lifetimes. Additionally, Dr. Rieth is pursuing hermetic micro-packaging techniques, that allow very small volume devices to contain sophisticated electronics linked to state-of-the-art electrodes. These approaches use sophisticated microfabrication and MEMS techniques for shaping and joining materials to achieve high-density heterogeneous integrated systems that include electronics, feed-throughs, μLEDs, redistribution layers, etc. Dr. Rieth plans to develop internal and collaborative modeling efforts to explore the fundamentals of the electrode-tissue interface, and how this impacts the ability to measure, evoke, and modulate neural activity. This will explore the effects of electrochemistry, materials, and electrode architecture on the efficacy of the electrodes for recording, stimulation, and modulation of neural pathways. Dr. Rieth’s ultimate goal is to use this knowledge to drive towards the ability to perform the rational design of neural interfaces based on their anatomical and physiological characteristics, the underlying neural circuitry, and the condition being treated.